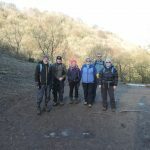 This entry was posted in Blog, Photo of the Month, Walking Breaks in Northumberland and tagged DayWalk, Friends, JohnMuirWay, Scotland on 20th January 2019 by Pinnacle Walking-Holidays. This entry was posted in Blog, Pinnacle Walking Holidays Blog, Recommendations, Walking Breaks in Northumberland and tagged DayWalk, Holiday, SummerWalking, WinterWalking on 12th January 2018 by Pinnacle Walking-Holidays. This entry was posted in Blog, Mike's Walks, Walking Breaks in Northumberland and tagged DayWalk, Holiday, JohnMuirWay, MikeChadderton, ShortBreak on 24th May 2016 by Pinnacle Walking-Holidays. 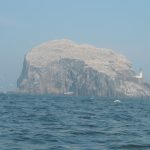 This entry was posted in Blog, Paula's Walks, Walking Breaks in Northumberland, Walking with Friends and tagged DayWalk, Friends, Holiday, NorthBerwick, ShortBreak on 10th November 2015 by Pinnacle Walking-Holidays. This entry was posted in Blog, Photo of the Month, Walking Breaks in Northumberland and tagged Friends, Holiday, JohnMuirWay, NorthBerwick on 2nd January 2015 by Pinnacle Walking-Holidays. This entry was posted in Blog, Walking Breaks in Northumberland, Walking with Mike and Paula and tagged JohnMuirWay, NorthBerwick, ShortBreak, WalkingItinerary on 14th June 2013 by Pinnacle Walking-Holidays.